Celebrities who like to keep a watchful eye over us civilians… just in case. "Why, Ryan Gosling, did you just break up that street brawl?" "Yes, ma'am, yes I did." CELEBRITIES ARE GREAT to have around in an emergency it seems. Dustin Hoffman has joined the long list of celebrities who come to the rescue of people in need. Hoffman recently came to the aid of a London jogger who suffered from cardiac arrest while running in Hyde Park. Sam Dempster maintains that the veteran actor saved his life. Derek Mooney – The RTE radio presenter saved the life of cyclist Fred Reilly after he collapsed at a bridge on the M3 motorway. Mooney, who was driving on the lower road, saw the man fall off his bike. He scaled the embankment and began compressions on the man’s chest while also trying to hail down passing cars. Good Samaritan Mooney told TheJournal that he was rather upset at the amount of cars that failed to pull over to help. Mila Kunis - According to MTV Mila Kunis was also on hero duty having saved a man’s life after he suffered from a seizure while he was working in her home last weekend. The 50-year-old man went into a violent seizure, biting through his tongue. Kunis told her friend to dial 911 and turned the man onto his side to stop him from choking. An ambulance arrived at her home and rushed the man to hospital. It is reported that he will make a full recovery. Andy Roddick – This tennis star is not just quick thinking on the tennis court. In 2004 the American tennis player sprung into action helping hotel guests escape from a fire at a five-star hotel in Rome. The Parco dei Principi, one of Rome’s top hotels, was engulfed in a blaze which claimed the lives of three people. At the time Roddick was just 21 years old and was competing in the Rome Masters tournament. The Telegraph reports that he helped lead guests out of the hotel and was also responsible for saving Sjeng Schalken, the Dutch tennis number one at the time, his wife and six others trapped on a roof beyond the reach of any rescue ladder. “They jumped from the seventh floor to my balcony so they could get away from the smoke,” said Roddick. Kate Winslet – The Oscar-winning actress rescued Richard Branson’s mother from a burning building. The Washington Post states that the British actress was staying on Branson’s island when a fire broke out in the house and she carried the 90-year-old woman to safety. Patrick Dempsey – Grey’s Anatomy Dr McDreamy is not just a good man to have in an emergency room – he is also good for a real-life emergency. According to TMZ Dempsey rushed to the rescue after a teenager crashed his Mustang in Malibu. The actor, who was armed with a crowbar, got the doors open and pulled the boy from the car. TMZ reports that Weston Massett looked up at the man who saved him and asked “Are you famous?” and Dempsey replied, “I’m a doctor”. 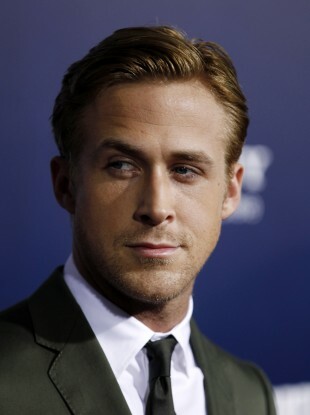 Ryan Gosling – This actor actually patrols the streets looking for trouble. Sort of. Last year the star of The Notebook and Drive broke up a fight on the streets of New York. According to E Online, a fight between two men broke out over a painting. Gosling jumped in and intervened, hustling the two men over onto the path. The incident, which was caught on camera, shocked eyewitnesses who couldn’t believe that it was the Hollywood actor. Harrison Ford – A real-life action hero, Ford rescues people in his spare time as well as in the Indiana Jones franchise. ABC News reports the actor completed two rescue missions last year. The actor, who is also qualified to fly helicopters, aerial rescued a hiker who became stranded in Yellowstone National Park. He spotted the 13-year-old boy scout and landed to pick him up. Previously he rescued Megan Freeman from a mountain after she had fallen ill. It is reported that the girl didn’t recognise the movie star rescuer and later said “I can’t believe I barfed in Harrison Ford’s helicopter”. Matthew McConaughey – In 2001 McConaughey gave mouth-to-mouth resuscitation to a woman who had a seizure during a screening at the Toronto Film Festival. The Guardian reports that police said the actor “saved her life”. Speaking about the incident McConaughey said “it was no big deal, she needed help and I was there,” adding “someone was saying they needed a doctor and this woman had a seizure and she wasn’t breathing, and I gave her mouth to mouth because I had been trained on how to do it”. Sean Penn – Following the aftermath of Hurricane Katrina in New Orleans, Sean Penn said that he could afford to get down there and help. E News reports that the actor got a boat and rescued up to 40 people. He was later accused of staging it as a big PR stunt – a claim he has vehemently denied. Email “9 celebrities turned real-life heroes”. Feedback on “9 celebrities turned real-life heroes”.